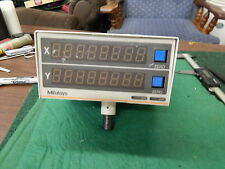 YOU ARE PURCHASING THE PICTURED MITUTOYO MODEL ARC - 2705 X - AXIS DIGITAL READOUT. MODEL ARC - 2705. CODE NO. 164 - 766 - 5. ITEM TITLE. MPN: AC2129V. Mitutoyo 209-788. 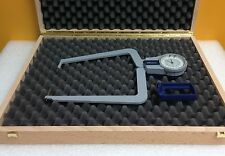 Pointed Jaw Caliper Gauge. 2.0 to 4.0", 0.001" Accuracy. includes: Case & Instructions. Linear Scale Digital Display Counter. Unit has been tested and is in good working condition. Mitutoyo 20.5" x 15" x 5.5". Includes Key. (1) Mitutoyo M PLAN APO 5x/0.14 F=200 Objective Lens. Mitutoyo 937243 1mm Connecting Cable. FOR 192 Series Products. COMPLETE WITH ORIGINAL BOX. INPUT TOOL. Sold "as is, where is". Maple Grove, MN 55369-4551. Digital Read Out DRO. Mitutoyo 983-306 RD-L1. 3 Axis XYZ. Warranty period only for defective parts. (Actual Photos of the Item listed). COMES AS SHOWN! Comes from reliable source. No means to test. Has some cosmetic wear. Powers up! 1. 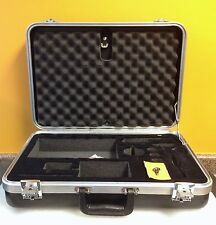 We are surplus equipment dealers and do not have the ability or knowledge to test equipment for functionality beyond plugging it in and describing what we observe as best we can. 2 You are purchasing used equipment – most is untested as stated in our description. Please reach out to us directly if there is a problem. We are quick to respond and resolve. NO REFUNDS OR RETURNS are given for parts/repair items or freight items. Used items have a 30-day return. 3. This is a new, in its original box, Mitutoyo #09AAA033A 2M (80") Extension Cable for Mitutoyo's Linear Scales. Mitutoyo DRO scale 529-446 AT 11 series. ALL ITEM ARE "SOLD AS IS". 02AZE200 : U-Wave-T installation brackets kit. Orders under 150 lbs. Orders above 150 lbs. 264-504-5A : DP-1VR data processor, 120V AC. Piscataway, NJ 08854. Piscataway Office. Fullerton, CA 92831. 2320 E Valencia Dr.
(More Info: SCALES- AT102. Manufacturer: Mitutoyo. They do not allow us to look at your rates that you are getting with them. Weight: 20 Lbs. NOTE . 5) Like New Condition. 1) Very Poor. Manufacturer MITUTOYO. Model Number: 25CM. Does not apply to cancelled or incorrect/ wrong product ordered. These products are subject to export restrictions under U.S. law. What phone number can be used to schedule the drop off?. NOS Mitutoyo Digital Counter. (Inv.25309). Model SRC-3601. Not What You Were Looking For?. 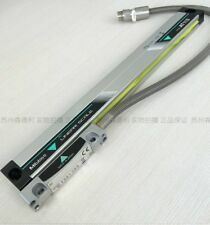 MITUTOYO No: 013899 8708 Circuit Board/Card with Assy#: 014013 and Cable. Mitutoyo Bracket Kit ---For grinder scales Y-Z ---Compatible w/ AT115, AT111, AT715 Series Model #50AAD343 Item is unused overstock, in excellent condition. Comes exactly as shown in pictures. Phil / 5.12.16 / P 49 C / PM718 Modified By Kimmy 08-11-2016 Verified. Mitutoyo MUX-40 Transmitter. Code # 264-048-1. Digimatic Mini-Processor. Mitutoyo DP-3DX. and Operation Manuals. Local pick up is available. Mitutoyo 192-632, 0-24" / 0-600mm Height Gage. Item is sold as pictured. These services include NO VERBAL CONFIRMATION WILL BE GIVEN, THIS MUST BE IN WRITING. Model #09AAB674A. 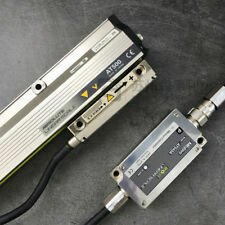 Mitutoyo Extension Cable for Linear Scales. (Model: 50AAC669 Rev B. The carrier is chosen at our discretion unless you arrange your own service. Regardless of service, a handling fee is required for freight preparation. 2) This item has not been altered in any way that significantly changes the product's performance or safety specifications. MITUTOTO 529-124. LINEAR SCALE AT2-450. 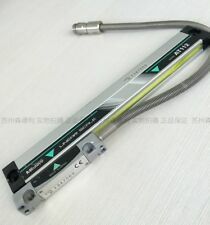 PCI interface card for Mitutoyo CMMs. Cable included. USED MITSUBISHI P90 PRINTERIN GOOD CONDITIONS!!!! This is based on what is most appropriate for your order. UNIT IS IN FACTORY SEALED BAG. Part # 939597. Manufacturer Mitutoyo. Box shows wear. The item you see in the picture is the one you will receive.